LEWISVILLE, Texas (November 17, 2016) – Construction of the new Rosenwald Recreation Center was a key component in the rebuilding of Council District B in New Orleans following Hurricane Katrina in 2005. Insulated metal panels from Metl-Span provide a durable and attractive aesthetic for the neighborhood. 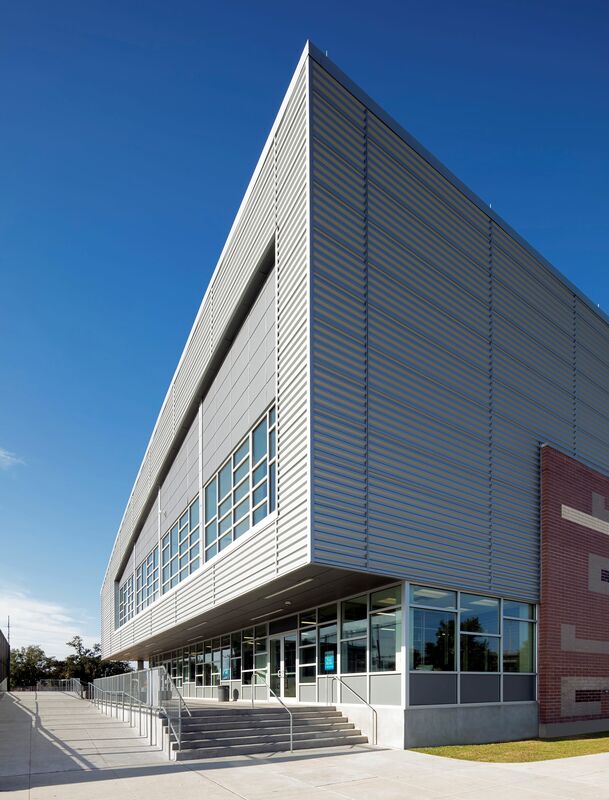 “We chose insulated metal panels for the aesthetics,” says Ronn Babin, AIA, Chief Executive Officer at WDG Architects Engineers in New Orleans. 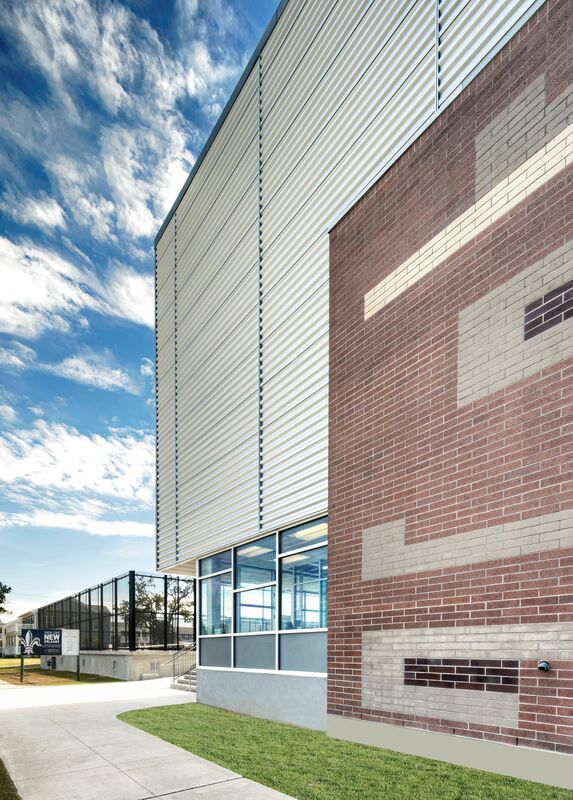 “We were looking to change up the materials we used and the metal provided a modern, sleek look while complementing the brick on the lower part of the building. The Rosenwald Recreation Center is approximately 24,000 square feet, including a gymnasium with a stage, multi-purpose activity and meeting rooms and a concession stand. The City of New Orleans invested $6.3 million rebuilding the center with FEMA recovery funds. The neighborhood features some industrial facilities as well as some affordable housing complexes, so the brick and metal blend comfortably into the surroundings. Babin says the new structure is built on the same site as the old recreation center, devastated by Katrina. Creating the updated accommodations envisioned within the existing footprint made for an interesting challenge which they were able to overcome. ProClad of Noblesville, Ind., installed Metl-Span’s 7.2 Insul-Rib 6-inch insulated metal panel over most of the upper part of the facility and Architectural Flat 24-inch as the soffit panels. Almost 10,000 square feet of 7.2 Insul-Rib panels were installed as wall panels on the Rosenwald Center. The outside panel was 22-gauge Galvalume in Silversmith, while the inside panel was 24-gauge Galvalume in Igloo White, providing a bright interior, reducing electricity usage. A total of just more than 3,600 square feet of three-inch thick Innova panels were installed as soffits. The outside panel was 22-gauge Galvalume in Weathered Zinc, while the inside panel was 24-gauge Galvalume in Igloo White.